Well we really didn’t deserve that. Chelsea have the lead in Prague, thanks to a Marcos Alonso header that really came from nowhere to give us the lead and a vital away goal in this tie. We have made tough work of this game so far, and it’s been painful to watch at times. It’s certainly made the youngsters on the bench look even more impressive. 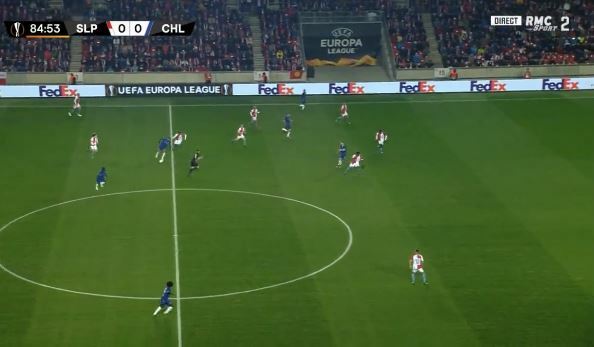 Alonso snuck in between naive Slavia defenders to head in Willian’s cross. Let’s take this lead home and never speak of this game again.